COME JOIN US FOR GOOD FOOD AND GOOD INFORMATION - IT'S FUN & FREE! The Bakersfield Muslim Community hosts a special social gathering and lecture nearly every month (except for Ramadaan which has a unique schedule). The Monthly Guest Lecture is usually held the first Saturday of each month (of the solar calendar) between Maghrib and Ishaa prayers. The event consists of a complimentary meal and educational lecture which is usually presented by a guest speaker. Although the guest speakers are frequently visiting Imams, the speakers may also be specialists in a variety of non-religious topics that may be of benefit to the community. 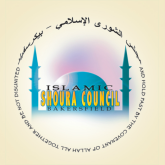 The monthly lecture usually rotates each month between Alfarooq Islamic Center and the ICSJV. Lectures every night during Ramadan between Maghrib and Ishaa. Please note that if you would like to receive free email notices about upcoming events such as the "Monthly Guest Lecture," be sure and sign-up for our free email on the front page.